Sunday, February 9, 1964: A date that changed the course of popular music and culture forever. Older fans who never saw The Beatles perform live, and others (like me) who were not even born when the Beatles hit America, can now experience the next best thing. 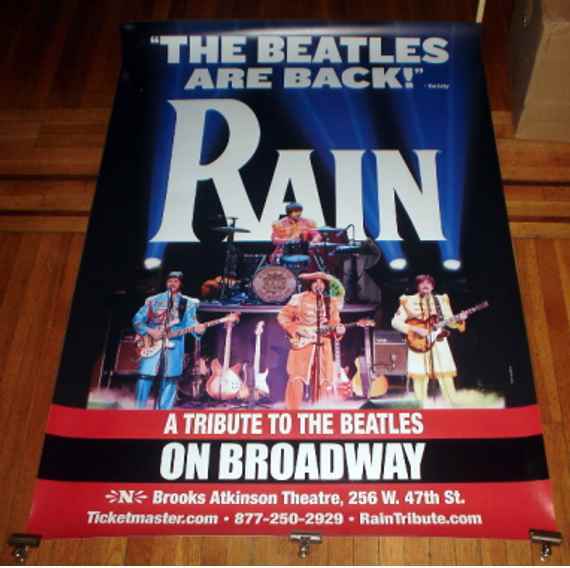 RAIN, a Broadway tribute show about the Beatles similar to THE JERSEY BOYS, the hit concert/play about Frankie Valli and the Four Seasons, is on the road, after winning a 2011 drama desk award on Broadway. I had the privilege of attending the opening night performance on Tuesday, Sept. 20 at the beautiful Long Center for the Performing Arts in Austin, Texas. Surprisingly, the show turned out to be a family affair, attracting many families in the audience. In fact, I was struck throughout the show by how much the music of The Beatles (which, for a generation, contributed to a growing gulf between parents and their children) was now bringing families together. After the show, my first instinct was to call my parents and tell them to run and see RAIN in Atlanta this October. If you live in Austin, you can catch a performance at the Long Center through Sunday, Sept. 25. For Mark Lewis (Founder, Manager, and Original keyboardist), the creative mind behind the show, it’s been a lengthy but worthwhile process to bring such an experience to audiences across America. Writers (and musicians) stand to learn a lot from Lewis and the four musicians who play the Fab Four in the show: Joey Curatolo, Joe Bithorn, Ralph Castelli, and Steve Landes. For years, they studied each song, note, and movement with a dedication that classical musicians, high-performance athletes, and talented actors know well. The cast and the designers at work on the show come together to create an utterly believable and fully immersive experience by mixing live performance with documentary footage of The Beatles era, including some outrageous television commercials from the 60’s and 70’s. Ladies, we may still have a ways to go, but I don’t think those nylon commercials and sexist excerpts from THE FLINTSTONES would sit well with audiences today! After Ed Sullivan’s TV introduction, the curtain went up. And there, on stage, in a perfect reproduction of the television show broadcast (complete with replica “Applause” signs to cue the theatre audience), wearing vintage costumes and showing off their characteristic mop tops, were. . . The Beatles. The thin veil between reality and fiction blurred before they struck the third chord of the first song. By paying inordinate attention to detail, RAIN had accomplished something for which every playwrite and screenwriter strives to do (or ought to): a seemingly effortless suspension of disbelief. As Doug Rogers (of SHREK and TANGLED) reminded me just last week, to craft a believable, make-believe world, no detail can be left unattended. The audience must assume that if the camera were to shift outside the frame, they would discover an intricate and far-reaching world, full of fascinating backstories. In the case of live theatre or performance (with which Doug, who graduated from Baylor University and the Yale School of Drama, has a good deal of experience), the set and production design, along with strong writing, are subservient to the great story that creates the space for audience members to believe that they could walk into a restaurant tomorrow and bump into the character they visited just last night on stage. For those of us who didn’t experience The Beatles era first-hand, and for those who enjoy a nostalgic walk through memory lane, the multi-media experience of RAIN is particularly rich and fulfilling. I left the show with far more than an understanding of the Beatles phenomenon. I experienced and understood American history in a new light. The Beatles and their music provided the context (and soundtrack) for that meaningful experience. For a few hours, I had been transported back in time. The inauguration of JFK, the deaths of Malcolm X and Martin Luther King, the first man in space and on the moon, the Vietnam War – it was all there, and it was alive. 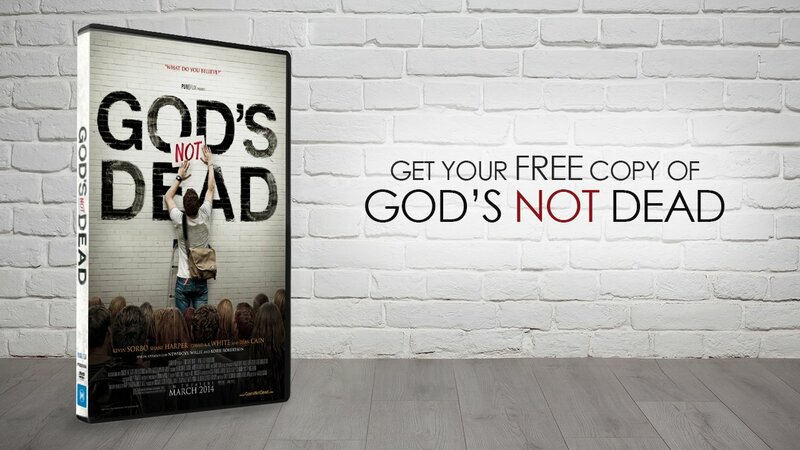 That is the power of entertainment, of the media, and, as C. S. Lewis would point out, of the imagination. RAIN harvests those powers with great skill to create a mind-blowing, wildly entertaining, educational, and inspiring experience for mature audiences. There was no offensive content in the show. Those who write scripts are sure to carry away some valuable lessons in storytelling. Besides, RAIN is the closest thing to time travel you ever may experience. I can’t recommend it enough. Editor’s Note: Sarah-Jane Murray (Ph.D., Princeton) is Associate Professor in the Honors College at Baylor University.